Plastic pollution is now affecting all of the world’s oceans. This throw-away waste is causing tremendous damage to marine ecosystems and food chains. 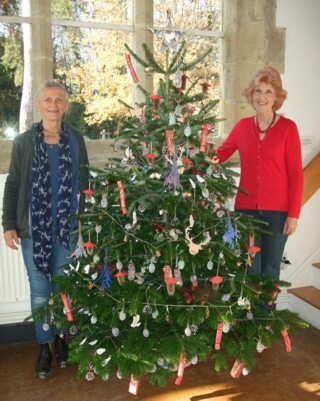 Inspired by David Attenborough’s TV programme, Blue Planet II, Cranleigh Rotarians Gill Leslie and Teresa Golden had the idea of displaying a Christmas tree which carries decorations that contain as little plastic as possible. 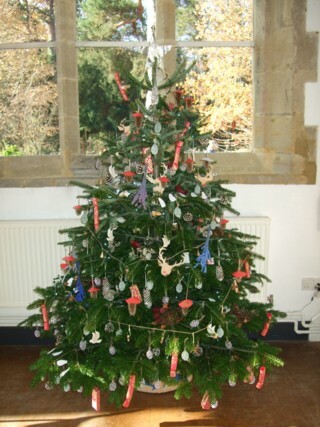 The tree is now on display in the main reception / refreshment area of Cranleigh Arts Centre. They hope you will enjoy their creation and that you will be inspired to do your bit to rid the world of unrecyclable plastics. Many thanks to Santa Fir who kindly provided the tree.